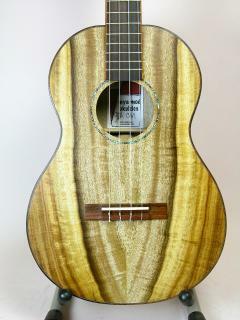 "I'm really loving my Baritone Ukulele, it's just so much fun to play. 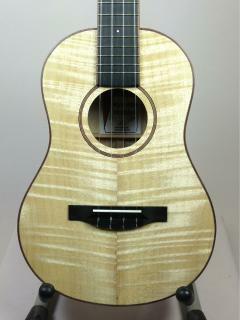 It has beautiful tone and the all important playability is fantastic. I'm finding different melodies every time I pick up the instrument, and a really fresh approach to playing and writing that will inspire songs for years to come. I sincerely thank you Gordon and Char." Kym Warner, from South Australia's capitol Adelaide, was a four-time national mandolin champion of Australia (1994-1997), earning a scholarship to the acclaimed bluegrass program at South Plains College in Levelland, Texas, along the way. 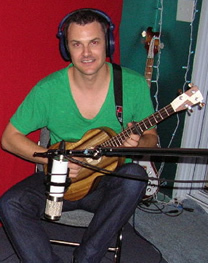 His "Mando on the Mainland" was nominated for instrumental of the year by the CMAA in 1999. Warner was also a member of Kasey Chambers' touring band, which played at Austin's annual SXSW festival near the end of her 2001 world tour. The fertile musical climate he discovered in Texas had a profound effect on him. Kym is a founding member of The Greencards, a progressive bluegrass band that formed in Austin, Texas, and are currently based in Nashville, Tennessee. The band was founded in 2003 in Texas by Kym, Eamon McLoughlin, an Englishman, and Australian Carol Young. The musicians originally performed in local Austin bars, and soon found increasing acclaim. They have released one independent album, Movin' On, in 2003, and two albums, Weather and Water, and Viridian, on the Dualtone record label. Their fourth album, Fascination, was released on Sugar Hill in 2009.